Finished up our last day with the McKay group today. 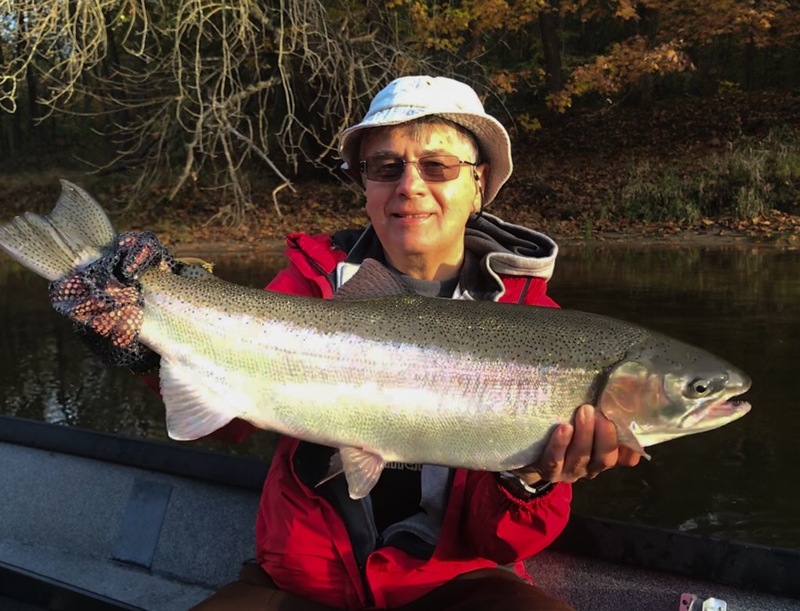 Yes, John continued his streak on Muskegon River Fall steelhead. However, Frank stole the show with this magnificent hen steelhead this morning. We’ll be looking forward to your groups return next spring.